Applied Technologies & Resources, Inc. 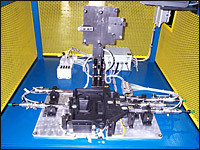 Applied Technologies & Resources, Inc. designs and manufacturers custom automation equipment for the automotive industry and beyond. A few of our services include: Automated Assembly Machines, Processing Machines, Material Handling Systems, and Testing and Inspection Systems. 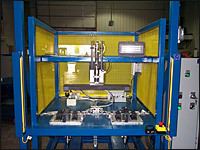 We also offer specialized automation equipment that can be customized to your application. Contact us today for a free estimate. We can help you with manufacturing efficiency and productivity improvements ultimately lowering your operating costs. We can save your company time and money by providing you with the best built custom high-speed machinery for turnkey assembly, automated testing and verification, material handling and automated production equipment. We are based in Michigan but service the entire Mid-West. Our customers are now able to save additional money and cut their production lead times by utilizing our patented "Base/Cube" & Intell X-16 Systems. Learn more about our money saving solutions.